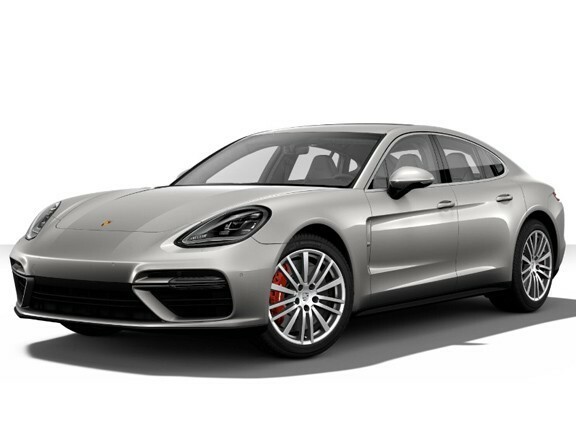 But is it a good Panamera? So this is the Panamera to have, surely? If you are a company car driver, then yes. If you aren’t, then no. It isn’t. 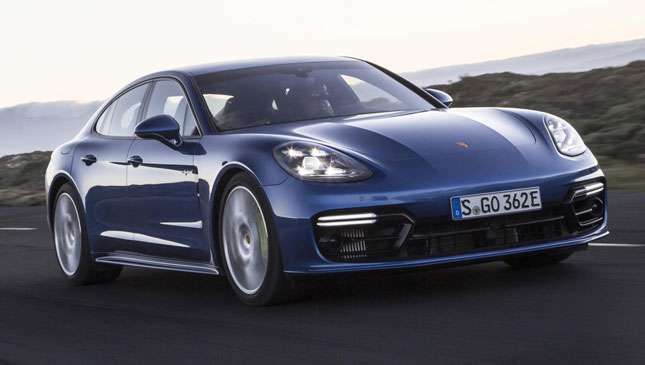 Let’s start with the basics: This is the Porsche Panamera 4 E-Hybrid. A plug-in hybrid that marries a 2.9-liter bi-turbo V6 with a “permanently excited” electric motor and 14.1kWh liquid-cooled lithium-ion battery (which is hidden under the trunk floor). Total system output is 456hp and 700Nm, allowing for 0-100kph in 4.6 seconds and a top speed of 278kph. Drive is to all four wheels via an eight-speed PDK and three-chamber air suspension. 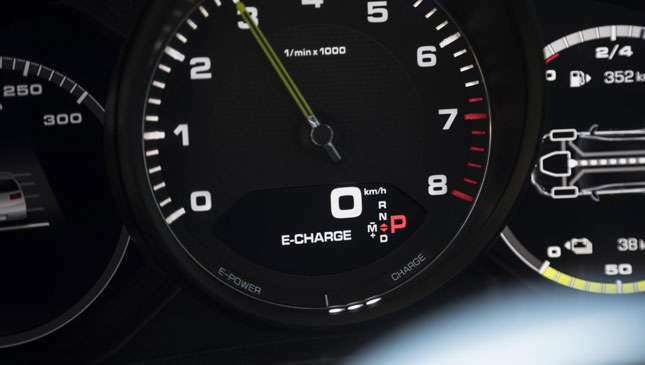 A full charge from a typical household socket takes almost six hours, and delivers just over 48kms of electric-only range at speeds of up to 140kph. It sure is, providing you have some charge. Had none whatsoever when I got in it, so I stuck it in “E-Charge” mode, which promised to juice them up as I drove along. Cue the V6 blaring into life and, by the time I’d driven the mostly-highway 122kms home, an indicated 9km/L. And I’m neither especially heavy nor light of foot. I’m somewhere in the middle, and I’ve had better from Lamborghinis. Determined to do better, I plugged it in overnight, set-off with a full charge and arrived back at the office the next day having done a more respectable 14km/L. And that was achieved with judicious use of the many modes. E-Power, Hybrid Auto, E-Hold and E-Charge, along with Sport and Sport Plus. Most will leave it in Hybrid Auto, and if we’re honest it does a decent job of flitting between power sources as and when it decides. E-Hold hangs on to charge so you can use it later, E-Power is for electric-only running (default—what it starts in), and E-Charge is, as you know, the one that nukes fuel economy to charge the batteries. Because green. Granted, people who buy Panamera PHEVs won’t find themselves in this position—having no charge at all—very often, because they’ll charge up at either home or office so they’re never left without. Or simply not buy it in the first place because it doesn’t fit with their lifestyle. But still. Could happen. Oh yes. Indicated range depletes quicker than your brain thinks it should, because of course the car’s using e-power alongside the engine to give you a boost. 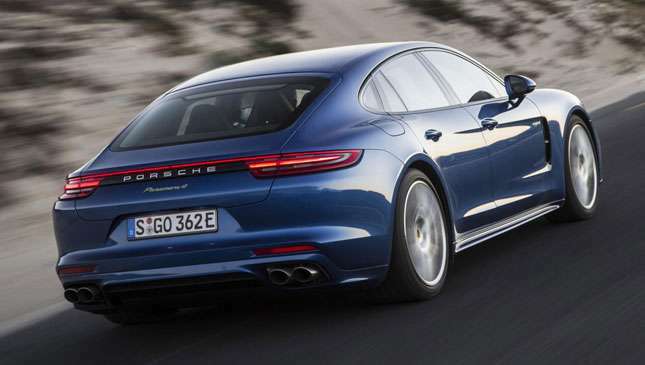 And it needs to—all the hybrid stuff adds 320kg to the Panamera’s curb weight. With no e-assistance, it feels like what it is—a 2.4-ton car with too little power. Wow. Does it handle like a 2.4-ton car? In a way. You feel the mass on the brakes, which—in the finest of hybrid traditions—are a bit grabby, but in all it drives pretty well for such a big, boaty thing. Air suspension, too, so the ride’s nice and pillowy. The gearbox is a bit of a weird one—the old Panamera hybrid used a conventional torque-converter auto, but this new one’s gone PDK. But it’s not PDK as we know it—it’s slower, less decisive and less willing to respond to paddle pulls than we’re used to. Oh, and this particular Panamera E-Hybrid had a sports exhaust, which is a bit odd because the last thing you want in a PHEV is to know when the engine and e-motor are trading blows. Especially odd (and loud) from the outside, when it decides the engine really is required halfway through pulling out of a junction, giving everyone within 50 feet palpitations. It would be a much, much better thing if it dropped the sporting pretensions and sought to deliver only on comfort. 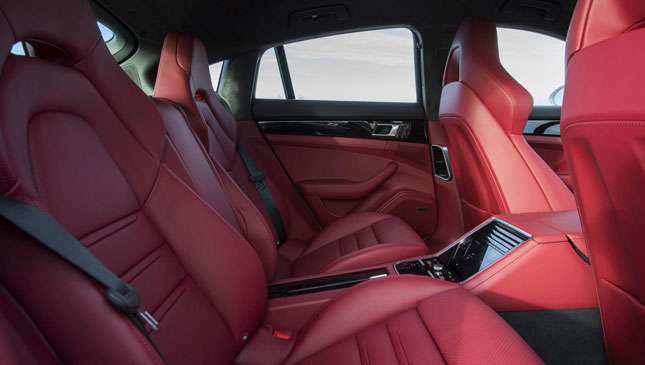 Yes, because the Panamera is already bloody good at being comfortable, with its superb interior and long-range, loping qualities. 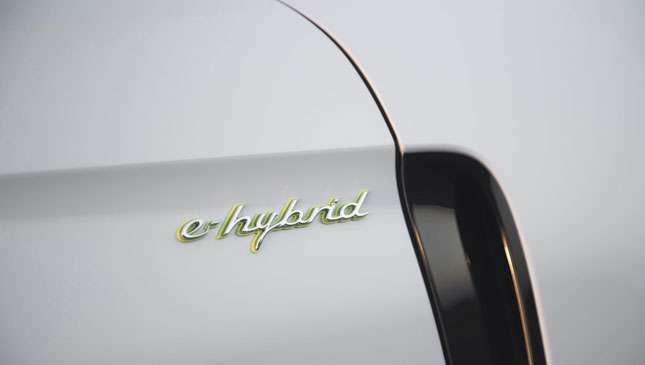 Perhaps the Turbo S E-Hybrid will change our minds, but for now, the 4 E-Hybrid is a good PHEV. But it isn’t a good Panamera.